If you are looking for a really good Full HD LED TV at reasonable price, this model is a great choice for you. It boasts some amazing features, looks good, and is the right size. The LED edge lighting is what makes this TV slimmer, while delivering amazing clarity, brightness, and color detail as well. Full HD 1080p resolution provides you with great picture quality. Also, LG Electronics 42LF5600 is really easy to carry as well as to set up since it weights just about 20 pounds. This TV works really great for bright rooms, since the LG IPS panel brings great grayscale and color accuracy, as well as plenty of brightness for some well-lit rooms. However, its luminous black levels and shallow contrast might make it a bit difficult for this model to look its best in dark theater lighting or more demanding dim meaning it lacks some flexibility for darker rooms and environments. But this shouldn’t inconvenience you because overall, this TV will ensure you with great picture, as well as sound quality for your home theater, and for a great price as well. A simple charcoal finish and minimal, sleek appearance of this TV will look great in a vast variety of rooms. Bezels and the panel are attractively thin and, instead of the rectangular pedestal, they rest upon two wide-set, pointed feet. This gives a minimalistic but very modern appearance to LG Electronics 42LF5600. This amazing TV boasts two built-in, great quality stereo speakers. The sound is really great and powerful thanks to 20W power speakers that provide nice and clear sound for any mid-sized room. The audio output on this TV is powered by Dolby digital recorder and ClearVoice II technology. 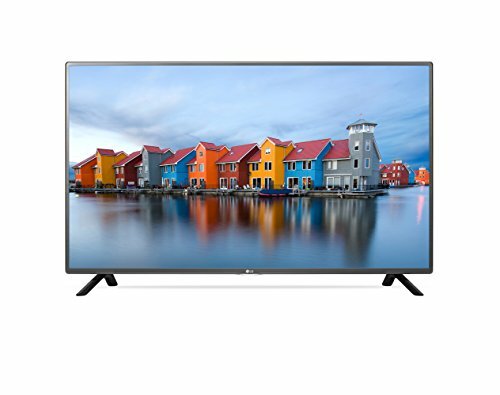 LG Electronics 42LF5600 is capable of delivering amazing clarity, color detail and brightness using light-emitting diodes that illuminate the picture. This affordable LED TV has a lot to boast about – a strong performance profile that includes color-free, clean grayscale shades, a wide viewing angle, very bright highlights, and reliable color accuracy. Generally, this TV sports a vivid, flashy picture which makes contents such as news, sports, video games, and cartoons look amazing, especially in a well-lit room. High Definition Multimedia Interface (HDMI) offers amazing audio/video quality as well as single-cable convenience. This TV includes an HDMI input allowing you to connect a real high-definition source, like Blu-ray player, a high-end computer, or some next-generation videogame console. This LED TV boasts two HDMI inputs, as well as a single USB 2.0 port, shared composite/component jacks, digital (optical) audio out, an RS-232C control port, and RF (coaxial) input.